Do you ever find a recipe that you think sounds great, but then you try it and while it is still great, it just needs a few of your own personal tweaks?! That is what happened with these tacos. 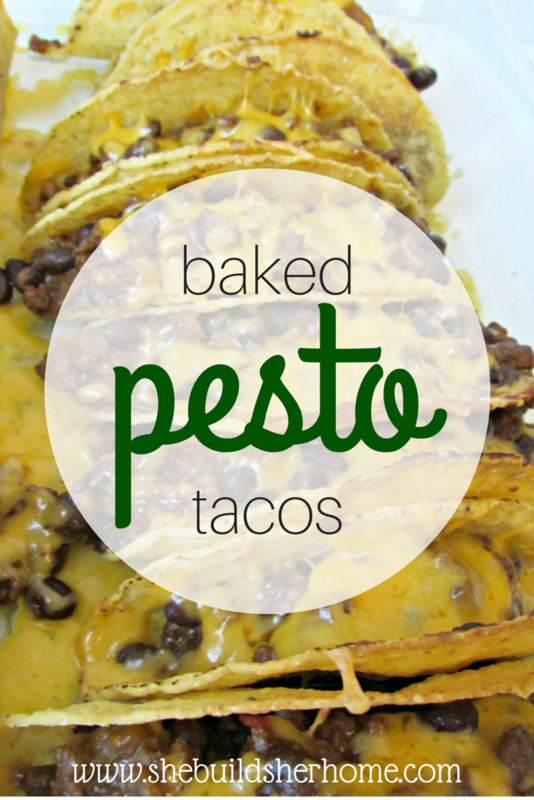 I originally saw this recipe from Mix & Match Mama , but it just wasn't quite it, you know? So I decided to make a few little adjustments that I knew my whole family would enjoy. Here is the recipe that I ended up with! Steps: 1. Preheat oven to 425. 2. Brown your ground meat and drain. 3. Add spices to your meat + 1/2 cup water and stir well. Cook until water is absorbed. 4. Stir in pesto, beans and salsa and simmer on low for about 3 minutes. 5. 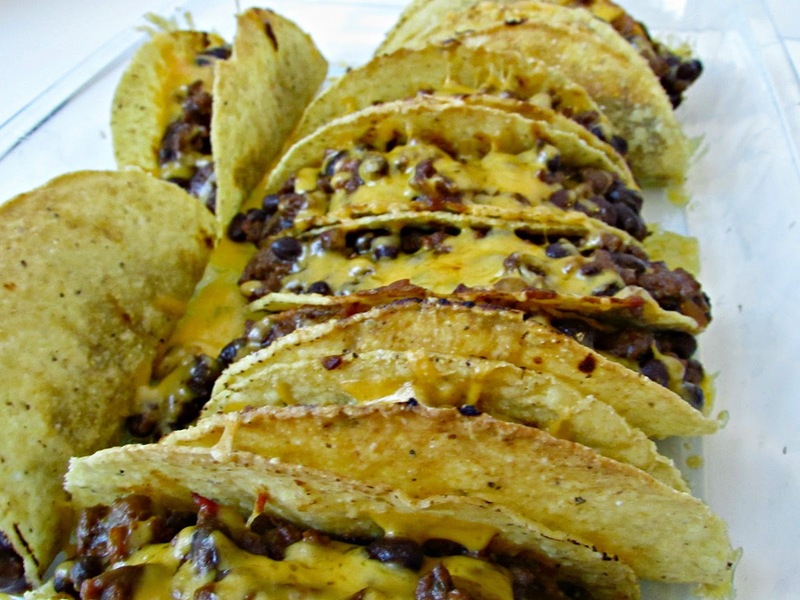 In a large baking dish, stand taco shells up and fill with meat mixture. 6. Sprinkle with cheese, and bake until cheese is melted! 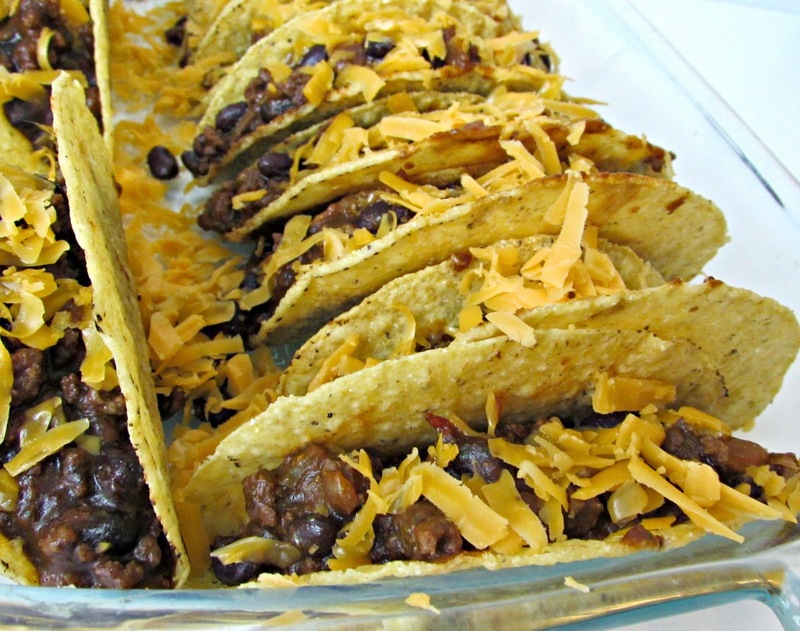 We had never done baked tacos before we first tried this recipe, and my whole family really likes them this way! Hope you enjoy!